Which ghost is the best dancer? The Boogie man! Why are vampires so easy to fool? Because they’re suckers! (Da-din-tish!) Ok now that we have your attention and have hopefully given you a few giggles, (even if those jokes were horrifyingly horrendous) the 31st of October is, of course, Halloween. This spook-tacualar occasion comes around once a year and because we want to you enjoy this fun day here is our favourite Halloween cocktail that you can make at home! 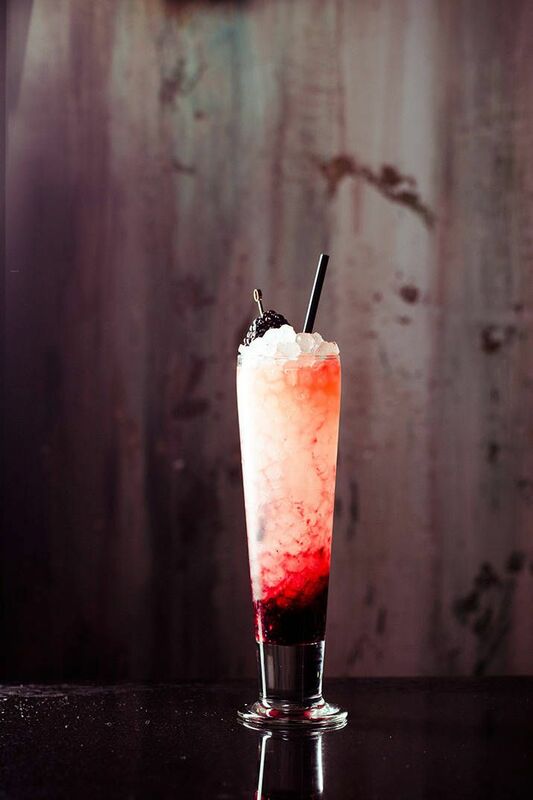 In a pilsner glass, gently muddle the blackberries. Fill the glass with crushed ice. In a shaker, whip the remaining ingredients, shaking with a few pieces of crushed ice just until incorporated. Strain into the glass. Garnish with a thin layer of bitters and serve with a straw. And there you have it- a devilishly delightful cocktail to serve at your Halloween party! Recipe courtesy of Death & Co, published by Harper’s Bazaar.